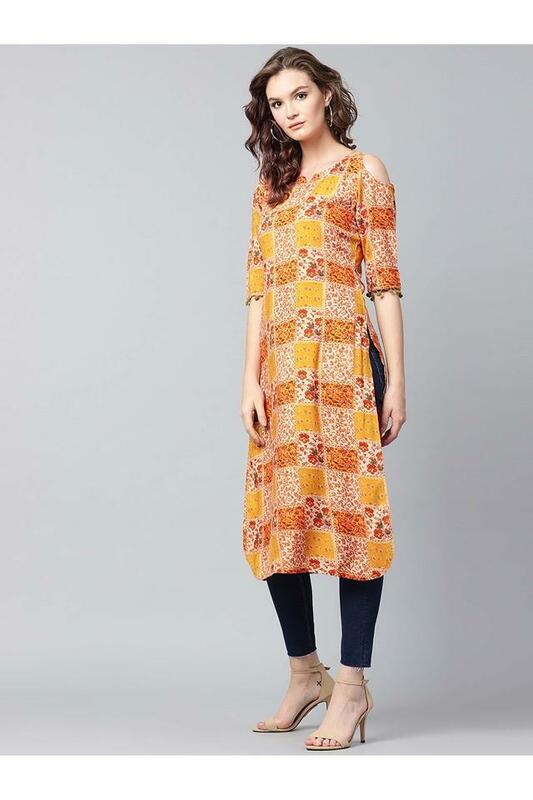 Get creative with your fashion skills by wearing this kurta from the house of Gerua. 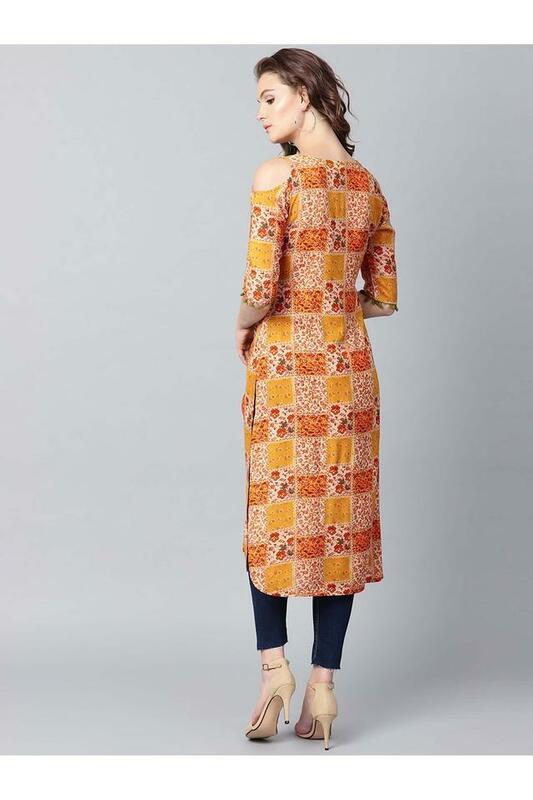 It comes in a printed pattern that renders it elegant, while the round neck and the cold shoulder sleeves give its design a nice elevation. It also scores high on the comfort quotient owing to the use of a superior quality rayon. 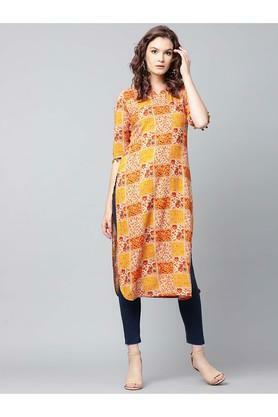 Make heads turn by wearing this kurta, which features a print pattern. You can combine it with a pair of palazzo pants and wedge sandals to stylise your casual look.